Street fundraising has become an extremely popular way to increase donations from the public. Not all members of the public are fans of street fundraisers, and there are certain ways to successfully engage with the public. Street fundraising or face to face fundraising was first introduced in the UK in 1997 via the Greenpeace organisation. This type of fundraising has become extremely popular in the UK as a way of promoting charities and raising funds. The intention is one to one interaction with the public to bring in donations to a good cause or charity. Donations are given from the public through direct debit or standing orders. Do Street Fundraisers Need a Licence? Unlike those who are actually collecting money, street fundraisers do not require a licence. The ‘no licence required’ rule exists for street fundraisers because cash donations are not actually being taken. It may be the case that street fundraisers who are collecting through direct-debit and standing order sign ups still need a council permit to collect. Fundraisers should contact local councils to request permission or inquire on the rules applied by specific councils. The Public Fundraising Regulatory Association (PFRA) is the regulatory body for this form of fundraising. The PFRA has a fundraising code of practice and also performs spot checks on street fundraisers. Street fundraisers should wear identification such as an ID badge. Members of the public who do have doubts should also be able to request information on the charity such as a phone number. This can then be used to verify the street fundraiser’s legitimacy. What is the Public’s Attitude towards Street Fundraising? Street fundraising does takes place on the street or via the doorstep fundraising method. Members of the public do have widely differing views on this method of charity collecting. Many people do feel extremely uneasy when it comes to supplying direct-debit or standing order details. In most cases the potential donator will be contacted by telephone after talking to the street fundraiser for bank account and personal details. The term ‘chuggers’ has become popular and refers to charity workers who ‘mug’ people on the street for donations. What Puts the Public Off Street Fundraisers? There are a number of different factors that can turn the public off giving donations. Many people do not like being stopped on the street and ‘duped’ into giving personal details. This does occur when fundraisers ask people to give their signature in support of a particular cause. Once the signature has been given the ‘hard sell’ can occur with members of the public being asked for personal details in order to be contacted later. Being upfront about the method of this type of fundraising is more likely to make people feel less like they have been mugged. 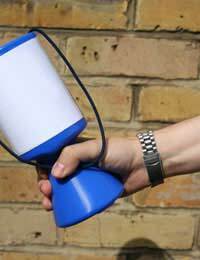 How Can Street Fundraisers Engage with the Public? Being friendly is one of the main requirements of a street or door to door fundraiser. The public will be turned off by fundraisers who use ‘in your face’ techniques. Street fundraisers should not harass members of the public and should take no for answer if the person is not interested in donating. Fundraisers who shout on the street are also more likely to find that members of the public will cross the street to avoid them. Politeness and showing respect will go a long way to gaining interest from the public during street fundraising. What Are the Disadvantages of this Method of Fundraising? Potential donators are usually contacted by phone after speaking to street fundraisers. This can be one of the biggest disadvantages of this method of fundraising. It’s not uncommon for members of the public to give false telephone numbers once they realise that signing up to direct-debits is part of the fundraising. Many people will also either not answer the phone or simply say they are too busy to talk to the fundraisers. In order to save time it is important to make the potential donator aware of the financial aspect of this type of fundraising. How Can Street Fundraisers Gain the Public’s Trust? Being knowledgeable about the cause or charity is a good way to gain the trust of interested potential donators. The ability to answer questions on the charity and exactly where the money is going and how it will be used will be beneficial. Ensure that donators are made aware of how they will be contacted and the information that will be required when donating.